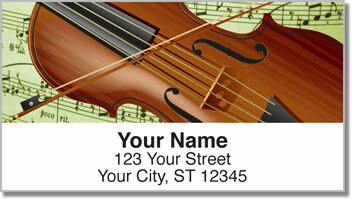 This is an excellent way for musicians and music lovers like you to orchestrate and organize your outgoing mail. 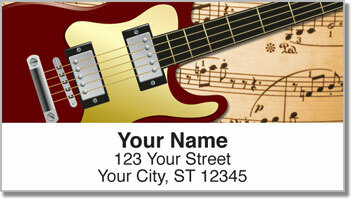 Return address labels featuring four different instruments are another CheckAdvantage exclusive. You'll find a wailing saxophone, a screaming trumpet, a singing violin and a rockin' electric guitar all displayed against a sheet music backdrop. 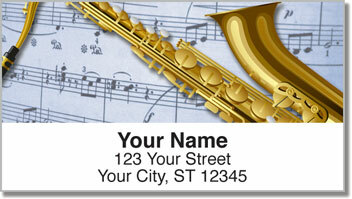 If you think Musical Instrument Address Labels sound sweet now, just wait until you see how much easier it is to fill out all those letters and packages. You'll never have to scribble your name and address on an envelope ever again! That should be music to your ears. 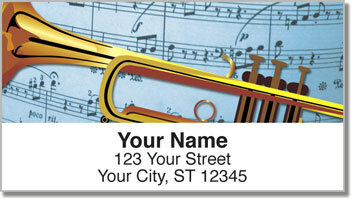 Get your own Musical Instrument Address Labels today! Complete the order with matching checks!